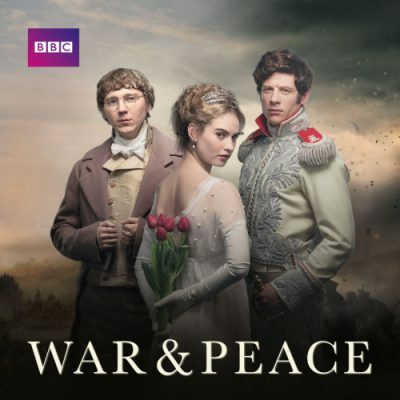 Diane and I spent Saturday night and too much of Sunday afternoon watching “War and Peace”, the BBC adaptation of Leo Tolstoy’s 1869 novel that has been described as the greatest novel ever written. It’s set during the period of the Napoleonic Wars, concentrating on the years between 1805 and 1812 when France turned its attentions to Russia, arguably Napoleon’s biggest mistake. It isn’t just about the military and endless battles. There’s the usual romantic entanglements that make a good novel, which keep you enthralled until the end. The television series lasts eight hours. According to a website I checked, it takes 32 hours and 40 minutes for the average person to read the book. So you can save yourselves almost 25 hours by watching the series, even if you do feel guilty about “wasting” a Sunday afternoon binge watching. Warning: once you start, you won’t want to stop!!! We also binge-watched “The Crown” over Thanksgiving when our eldest daughter, her husband and children were with us. This is the most expensive online production ever, showing on Netflix. They reportedly spent over 100 million pounds on it (approx. $125 million). As it’s the first of four seasons, they will be spending a good $500 million before it’s over. One newspaper said that Netflix is hoping to bury cable with this and other upcoming productions. 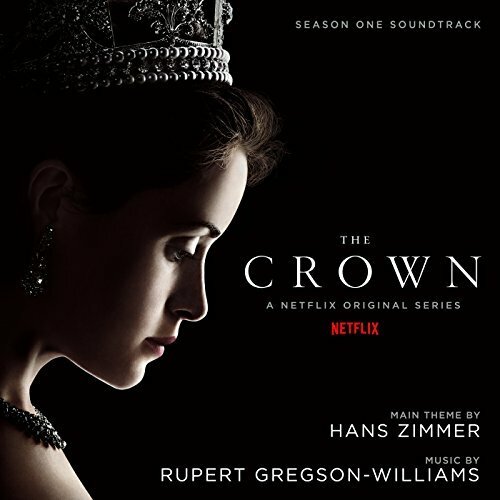 “The Crown” tells the story of Queen Elizabeth II, from her marriage to Prince Philip in 1947, up till the present time. As flashbacks go back to the Abdication in 1936, it effectively covers her life from the moment she learned she would become Queen when her uncle abdicated, until the present day. The first series ends in 1955, when Sir Winston Churchill resigned as Prime Minister. Coincidentally, with the recent deaths of the King of Thailand and Fidel Castro, she is now the only political figure who was around in the 1950’s. Although many of the conversations that take place in the series are pure conjecture, the production is remarkably accurate in its portrayal of the 1940’s and 50’s and its attention to detail. The deep spiritual and historical meaning of the coronation is brilliantly conveyed to audiences that are unfamiliar with the biblical significance of the ceremony, which has its origins in the coronation of Israel’s King Solomon and his anointing by Zadok, the priest. Politically, the series will help people to understand constitutional monarchy. 43 countries around the world are monarchies, not all of them constitutional. Queen Elizabeth II is Head of State of 16 of those countries. Each country chose to remain a constitutional monarchy at the time of independence. All four of us recommend the series and look forward to the following three seasons. Footnotes: In one scene Prince Philip says something negative about visiting Australia; in a later episode, he is asked to go there alone for the opening of the Olympic Games in 1956 and, again, expresses a complaint. I question the series’ interpretation of events here. Mark Steyn, a Canadian of decidedly conservative views who now lives in New Hampshire, wrote an article some years ago about a dinner he had with others at Buckingham Palace, where he was hosted by the Queen and Prince Philip. 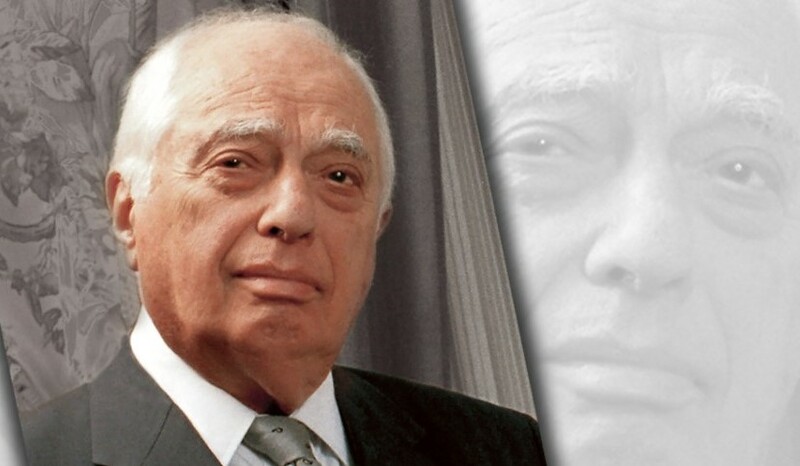 In the article he recounted a private conversation with the Prince in which they both compared and discussed the Canadian and Australian constitutions. It didn’t seem as if the Prince was not interested in the two countries. The trips were undoubtedly a challenge as they went by sea and were away from their children for months at a time. This fact is alluded to in the later episode. Personal footnote: Our son was helping his eldest daughter, Paris, prepping her for a test on Canada the following day in her fifth grade exam. One question was “What kind of government does Canada have?” Kurt told her Canada is a constitutional monarchy. It turned out to be the wrong answer. What the teacher wanted was: “Canada has its own government.” Even teachers don’t seem to understand “constitutional monarchy,” which has a very good track record of preserving democracy. 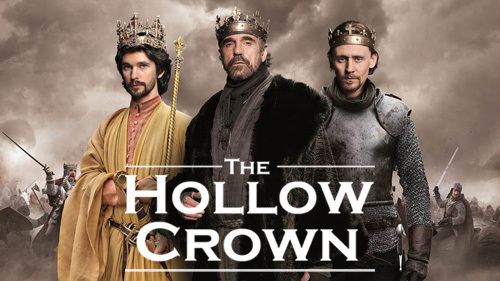 A third series we’ve started binge-watching (well, every Sunday evening for a couple of hours) is “The Hollow Crown,” adaptations of Shakespeare’s historical plays. The series is showing in the Sunday night “Masterpiece Theater” slot on PBS. It stars some of the world’s greatest actors. Somehow, we missed the first series, which we’ve now requested through our public library system. But we’ve started the second series, which begins in 1422 with the death of Henry V and the ascension to power of his son, Henry VI. Actually, it was not that simple – the new king was only nine months old, the youngest monarch in English history. In view of his age, there had to be a regency – and that was the start of his problems. Out of this came the War of the Roses, a civil war that lasted over thirty years. IS THIS TO BE THE FATE OF THE WESTERN WORLD? Michigan winters can be depressing, a real downer. Add to that, the state of the world as 2016 begins and it’s amazing anyone can function. 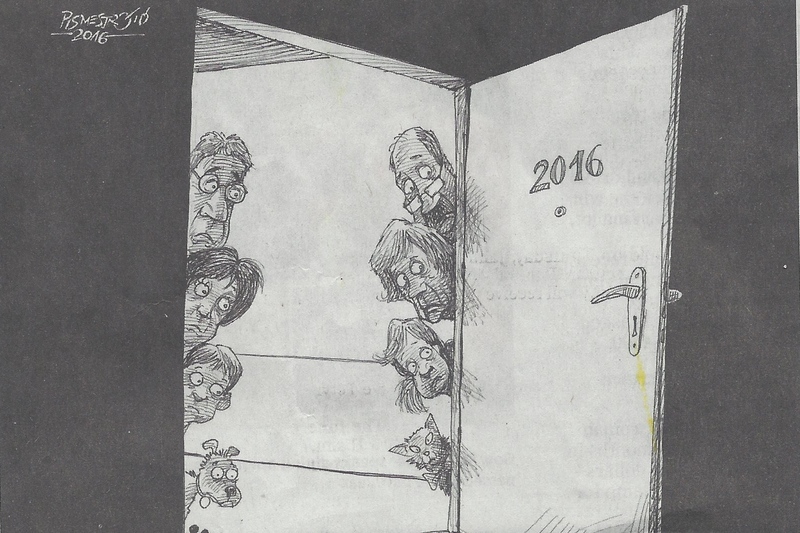 A cartoon in yesterday’s paper showed half a dozen people nervously peeking into a dark room labeled “2016” – clearly, nobody wanted to go in. Who knows what the year will bring? Adding to my sense of foreboding has been a couple of books I’ve been reading. Perhaps I should stop reading! Then I could stop thinking and become like lots of other people. It’s difficult, though, to watch hours of mindless drivel on television or at movie theaters when there are so many good books to read. The books I’ve been reading are “The End of Byzantium” by Jonathan Harris and “Isabella” by Kirstin Downey. The latter is about the famous queen of Spain, but includes a long section on the fall of Byzantium and what followed. It fell to the Muslim Turks in 1453. It’s fall was as dramatic and interesting as the fall of Babylon to Persia in 539 BC. The consequences for both were dramatic. Residents of both had considered their capitals impregnable. Most Americans and Britons today would describe their own countries similarly. After all, they have nuclear weapons. The US has the greatest military on earth. But, as the falls of Babylon and Constantinople show, it doesn’t mean a thing! And, just as the “handwriting was on the wall” for Babylon (Daniel 5), so it is today for the West. I went to see my primary doctor recently, shortly after San Bernardino. He couldn’t understand why so many people brought up in the United States could become “radicalized.” I know that Britons, Australians, Canadians and people in other western countries don’t understand this, either. An article in yesterday’s Lansing State Journal called for more Muslim immigration into the US. The reasoning was simple – the more people from the Middle East who come here, the better, because they either go back enthused about the American way of life, or they stay here committed to America. This is naïve thinking at best. At its worst, it’s downright dangerous. Both my doctor and this writer represent 1960’s liberal thinking. They believe that our western way of life is superior and that anybody who moves to the West will naturally see things that way given a short period of time to adjust. And their children, naturally, will be just as committed to the American (or British) way of life as anybody else born here, embracing our liberal values. This reasoning fails to understand that there is a major difference between Islam and the West – one means “submission” (or “surrender”), while the other believes in freedom. These two cannot be reconciled. Any child brought up in the former, while living in the latter, is inevitably going to be confused. Why can’t people see that? If they cannot grasp what is written above, then they can at least read some history and learn lessons from the past. Note the following from “Isabella,” describing the fall of Christian Constantinople to the Muslim Turks. Don’t think this can’t happen again – it’s happening right now in the Middle East as Christians are being driven out by Muslims. After the fall of Byzantium, it happened to other European nations as the Muslims moved into the heart of Europe. Again, hundreds of thousands have moved into central Europe in the last few months. ISIS continues to treat Christians the same way. There was, and is, no respect for other religions. In the fifth century, the Roman Empire was invaded by barbarians (non-Romans). This is a reason they no longer exist. Spain itself was overrun by Muslims in the eighth century, a reason why Isabella took the stand she did centuries later. When the Holy Land fell to the Muslims, it was necessary for the West to intervene to enable pilgrims to travel there safely. After Constantinople fell, the West was in shock, rather as it would be if the United States fell. The historian Niall Ferguson wrote after Paris that the West has the feel of Rome about it, that we are in danger of falling the same way; conservative columnist Mark Steyn wrote that “the barbarians are at the gate, and there is no gate!” – a reference to the fact that Angela Merkel and others are welcoming the invaders. There clearly are genuine and justified concerns about allowing more Muslims into western countries. Just yesterday, the BBC has reported that Germany has been shocked by how many German women were sexually assaulted and even raped over New Years, a direct result of the recent surge in immigration from the Middle East and North Africa. TV reporters and those who write for newspapers advocating more immigrants are clearly ignorant of history. They endanger all of our lives. Reporting right now is focused on the growing Saudi-Iranian conflict, a continuation of the 1400-year-old struggle between Sunni and Shia Islam. Neither can respect the other. They just want to kill those who believe differently from themselves. We can see it clearly when looking at the two branches of Islam – why do the same reporters find it so difficult to see the threat Islam poses to Christians and secularists in the West? Christians for centuries have prayed “Thy Kingdom Come” (Matt 6:10) as Jesus Christ taught us to do in His model prayer. Never has the need for that kingdom been greater. Only He can put an end to false religion and the religious confusion that threatens the end of our civilization. In the latest James Bond movie, “Spectre,” an evil organization is trying to take over the world, but 007, once again, stops them. It’s the most successful movie at the box office right now. Millions around the world have already seen it; millions more will in the weeks to come. The question is: why do people believe this is credible, but won’t accept an evil organization really IS trying to take over the world and, at present, well on the way to success? I’m referring, of course, to ISIS. Also Al-Qaeda, which, through an affiliate in Mali, has staged the latest terrorist attack today in Bamako. An ISIS affiliate, Boko Haram, attacked a market yesterday in northern Nigeria, killing almost 50. These terrorist attacks are now a daily occurrence. It seems likely that Al-Qaeda and ISIS are competing with each other, to see who can kill the most people. Whoever wins will get the most recruits – people will want to join the one who is winning! It is doubtless true to say that the overwhelming majority of Muslims in Europe are not violent. But it is also true the majority hold views not easily reconciled with the principles of our liberal democracies, including our novel notions about sexual equality and tolerance not merely of religious diversity but of nearly all sexual proclivities. And it is thus remarkably easy for a violent minority to acquire their weapons and prepare their assaults on civilization within these avowedly peace-loving ­communities. “But that’s not true, is it? He’s right that it’s an attack not just on Paris or France. What it is is an attack on the west, on the civilization that built the modern world – an attack on one portion of “humanity” by those who claim to speak for another portion of “humanity.” And these are not “universal values” but values that spring from a relatively narrow segment of humanity. They were kinda sorta “universal” when the great powers were willing to enforce them around the world and the colonial subjects of ramshackle backwaters such as Aden, Sudan and the North-West Frontier Province were at least obliged to pay lip service to them. But the European empires retreated from the world, and those “universal values” are utterly alien to large parts of the map today. Nothing has yet been done to change immigration rules. President Obama was on the defensive when the issue came up – he said it was un-American to discriminate against Muslims, though that’s exactly what was done from the founding of James Town (in 1607) until the 1965 Immigration Act that was sponsored by Senator Edward Kennedy. In the 1952 Immigration bill that became law, members of any organization that called for the overthrow of the US government and constitution, was forbidden to enter the country. At the time, communism was the threat. Today, it’s radical Islam. Both the religion and the Koran threaten the US. Islam means “submission” – all members of the faith must submit to Allah and Sharia Law. According to a recent poll of Muslims in the United States, 51% of American Muslims believe Sharia should be the law of the US. In the same poll, 25% felt it justified to use violence against Americans. In other words, their faith comes before America, intolerance before tolerance. It was clear from what the President said that his agenda is to get as many into the country as possible, while bending over backwards to stay out of any conflict with radical Islam. Obama is not the only one. President Hollande of France declared war on ISIS after last week’s terror attacks, but his government remains committed to taking in 30,000 more Syrian refugees in the weeks to come. Multiply that by 5 to get a US equivalent of 150,000. The US is taking 10,000. France is interesting. The country has arguably been more successful assimilating Muslims than any other. 10% of the French population is Muslim, immigrants from the Middle East and North Africa and their offspring. Only 10% of these Muslims go to the mosque every week. Muslims seem to be more secularized than in other countries. But, perhaps that’s the problem. When a devout Muslim moves to the West, rather than appreciating his newfound freedom, he will see the West as totally degenerate. Whereas Muslims are in submission to Allah, the West is in submission to the god of materialism and the pursuit of licentiousness. They are two diametrically opposed ways of life. The surprise is that so few, comparatively speaking, resort to extremism. Although attitudes are hardening throughout the West and right-wing movements are gaining support, a lot of people are still clueless at the threat from radical Islam. More than one victim in Paris remarked on how they still believe in the basic goodness of people. They would do well to heed the words of the prophet Jeremiah who wrote: “The heart is deceitful above all things, and desperately wicked.” (Jeremiah 17:9). We are likely to see far more evil acts perpetrated by ISIS in the near future. 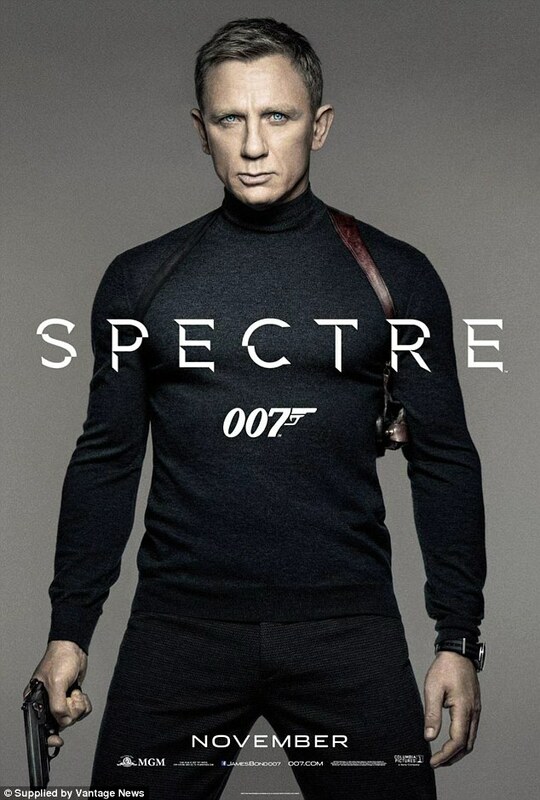 Which brings us back to James Bond. We must not confuse real life with movies. If and when ISIS is defeated, it does not mean the end of violent Islamic extremism. Other organizations will arise that will likewise threaten the peace and security of the West. Radical Islam is here to stay. It’s an idea whose time has come! The final words are from Niall Ferguson, who quotes Bryan Ward-Perkins, who wrote “The Fall of Rome” in 2005: “The end of civilization came within a single generation.” The West could fall much quicker than that faced with the serious threat of radical Islam. Senator Marco Rubio summed up current threats facing the United States during the Republican Presidential Debate on Wednesday evening. These are not just threats to the US – the same threats are facing the entire Western world, whether you live in North America, Europe or Australasia. Senator Rubio was correct on every point. 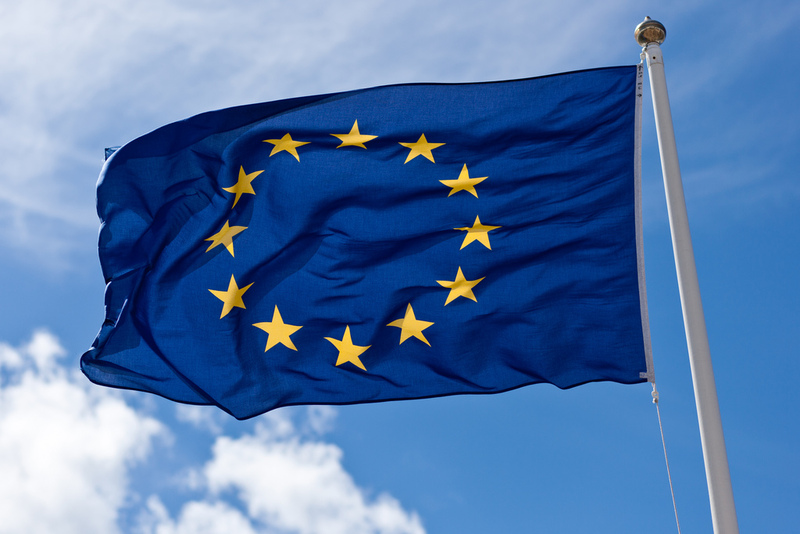 He might have added the current invasion of Europe, which also threatens national and international security, though this has not unduly affected the United States yet. I should add that a few of Wednesday night’s candidates had clearly taken an “International Relations 101” class since the last debate. That’s good, because they are going to need it, assuming one of them actually becomes an occupant of the White House. Some final comments on CNN, the channel that hosted this debate (Fox hosted the first one). Whereas Fox News is clearly more conservative, CNN is quite liberal, though not as liberal as MSNBC, which is avowedly liberal. 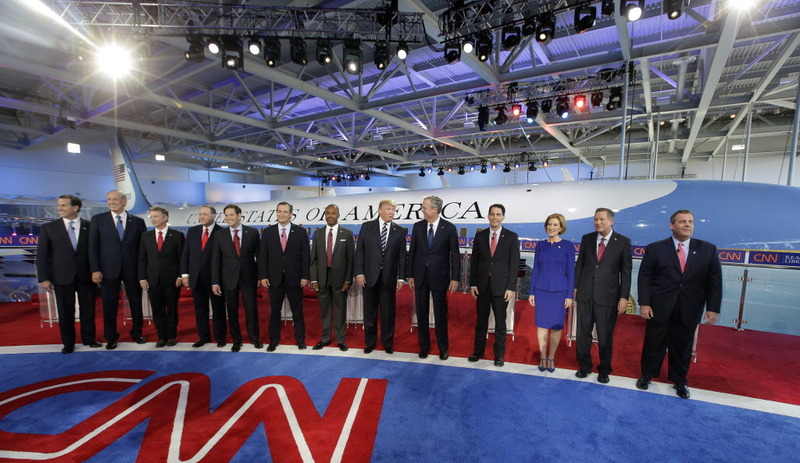 USA Today stated yesterday, the morning after the debate, that CNN had its highest ratings ever for the Republican debate – perhaps that should tell them something! CNN may also want to vet its commentators better – a female journalist from the Chicago Sun-Times was asked to comment Thursday morning on one issue that came up in the debate: who should be on the $10 bill? Right now, it’s Alexander Hamilton. It is being suggested that the man who founded the US financial system should be replaced by a more recent female. Carly Fiorina, the only woman candidate for the Republicans, felt this was an empty gesture during an Administration that has seen the numbers of women living below the poverty line increase by 3.5 million. The journalist’s response was critical – that it makes no sense to keep a long since dead president on the currency. For the record, Alexander Hamilton was never president. Her comment is symbolic of a wider problem amongst journalists – ignorance of history, without which there can be no understanding of the present! The Supreme Court’s decision in support of a young lady who was refused employment with Abercrombie and Fitch because she was wearing a Muslim headscarf may, at first, seem like a victory for freedom of religion. Other companies may have to think twice if they want to discriminate against people from minority religions. However, there is an alternative way of looking at this decision from the highest court in the land. It is yet another example of how the West is compromising itself out of existence. It should be clear to everybody by now that Muslims who immigrate to the West do not want to become Americans, Canadians, Australians, Englishmen, Germans or French. They certainly want to share in the wealth the West has. But they do not want to change any aspect of their culture. Rather, we must adapt, we must change, to accommodate whatever they want. This can only get worse as we travel down this dangerous road. Ann Coulter is a famous conservative who is often seen on television. She has written a number of books, the latest one being “Adios, America!” The sub-title sums up the book quite bluntly: “The Left’s plan to turn America into a Third World Hellhole.” On such a sensitive subject, Ms. Coulter is not likely to be interviewed on the main networks. Conservative writer Mark Steyn wrote about the book in The New Yorker. “Without cultural continuity, a country is just real estate. Just across the Iraq border, where I stood 12 years ago, is the town of Mari. It’s in Eastern Syria now, but it was once the furthest outpost of the Kingdom of Hammurabi, the guy who cooked up the first legal code. It’s currently being destroyed by jihadist loons. What value do Hammurabi and his pre-Islamic laws have to ISIS? The past has no meaning, because it’s someone else’s past. Mr. Steyn and Ms. Coulter are both absolutely correct, though Ms. Coulter is wrong to blame this solely on the Left. Both political parties are dedicated to “immigration-assisted suicide.” So is the Supreme Court.